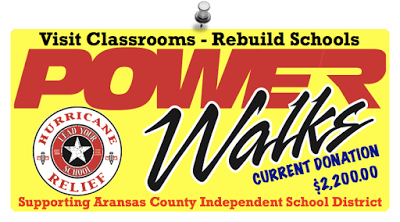 After Hurricane Harvey, Lead Your School challenged the LYS Nation to step up in support of our friends in Aransas County Independent School District (Rockport, Texas). And step up, you did. To the tune of 43,715 classroom observations. Which means that LYS will donate $2,185.75 to help rebuild their schools. Heck, let’s just round the amount up to an even $2,200.00. It’s not enough, but it’s a start. However, once Harvey made landfall, it stuck around for an extra week, turning Southeast Texas into a lake. Then Harvey’s evil siblings, Irma and Maria, laid waste to Florida and Puerto Rico. So, LYS Nation, here is what we’re going to do. We’re going to double down and then some to assist more schools in Texas, Florida and Puerto Rico. 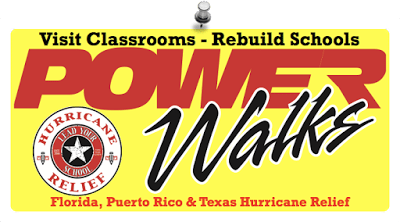 First, for every PowerWalk conducted between October 1 and October 31, 2017, LYS will again donate 5¢ in support of storm effected schools. 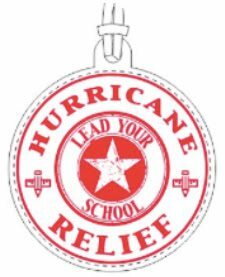 Second, LYS is selling Hurricane Relief Bag Tags for $5.00, with the net proceeds being added to the donation pool. 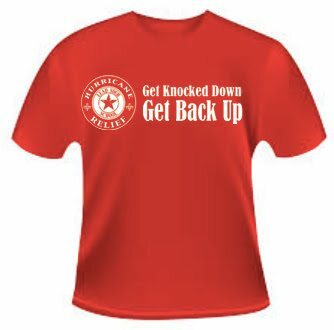 Third, LYS is selling Hurricane Relief T-Shirts for $20.00, with the net proceeds being added to the donation pool. As educators, we may not be the first responders, but we are damn sure the second responders. So again, LYS Nation, let’s step up and help our fellow educators effected by these catastrophic storms rebuild.